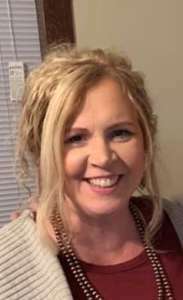 Charla Smith joined the Champ Software team in November 2018 as a Customer Success Representative. In 2008, after working 18 years for a local corporation, she decided to pursue a career in the health care industry. Since 2008, she has experience with the entire health care revenue cycle with a strong emphasis in the billing and A/R portion of the revenue cycle as well as sales. She is in the home stretch of obtaining her B.S. degree in Business Management. Many of her classes have been Healthcare Management focused. Charla is born, raised and lives in the Lake Crystal, MN area. She and her husband of over 30 years have 2 children and lives on a hobby farm. She enjoys spending time with her son, who lives in the area and visiting her daughter, who lives in Montana. In her spare time, she enjoys traveling and riding motorcycle with her husband, horseback riding, gardening and canning.